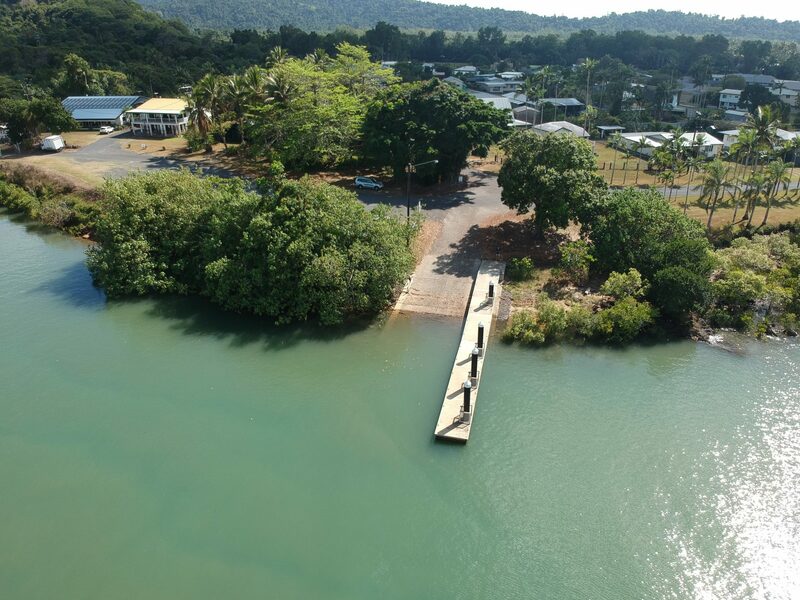 Boat ramps are readily available to the casual trailer boat or tinnie owner, but care should be taken when launching or retrieving since our warm tropical climate encourages the growth of marine algae and slime making the ramps extremely slippery. Also, our waterways are home to crocodiles which could well be watching your every move, so don’t do anything foolish. Cleaning of fish near ramps and dumping discarded frames, gut and skin is most irresponsible as it will only attract these cunning animals. Apart from these 2 cautionary suggestions, our local ramps are well maintained and can be used with confidence. Toilet facilities are available at most of them. 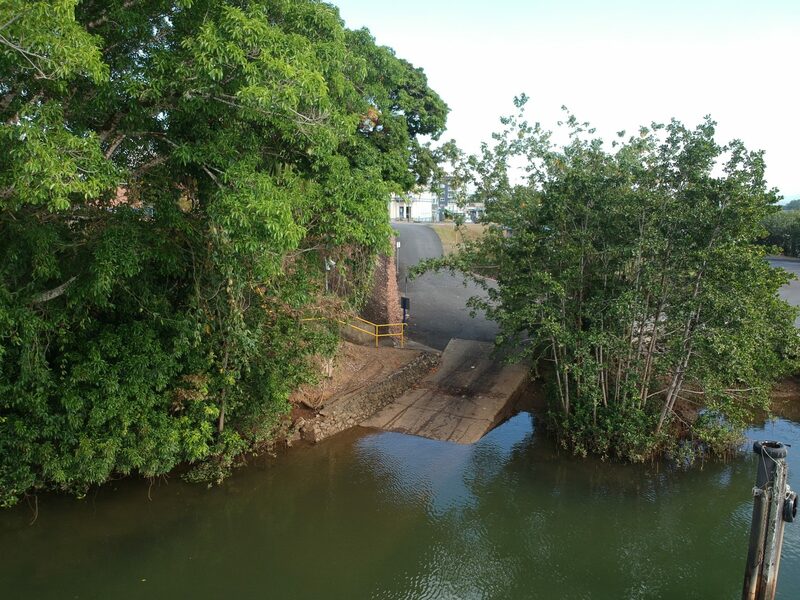 Smiths Creek: Next to sugar terminal. Small ramp with limited car parking. 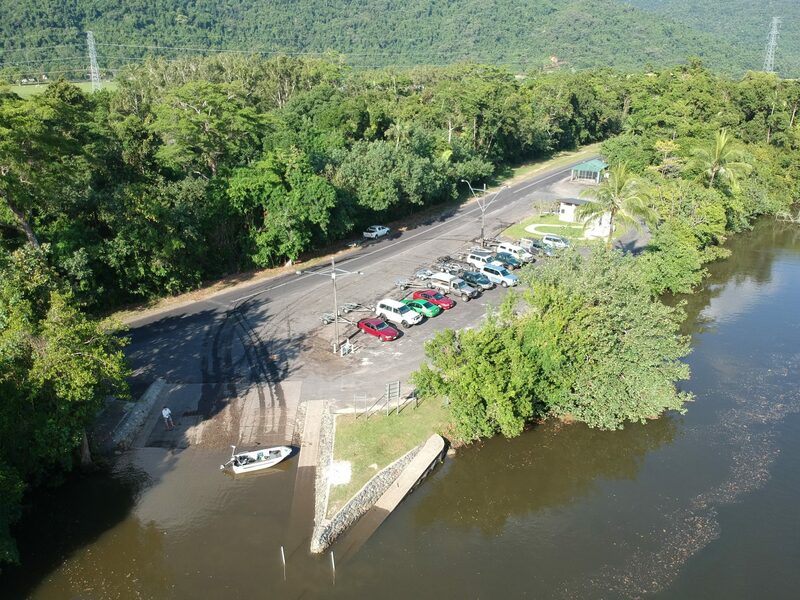 Tingara Street-Smith Creek: Large public ramp and car park offering wash down and rigging areas. Lighting provided. Handy floating pontoon. Redbank: Off Redbank road and further up the system. Small ramp with limited parking. Not good access on large dropping tides as access is limited at very low water. Blackfellow Creek: Off Thompson road Edmonton. Small ramp with limited parking. 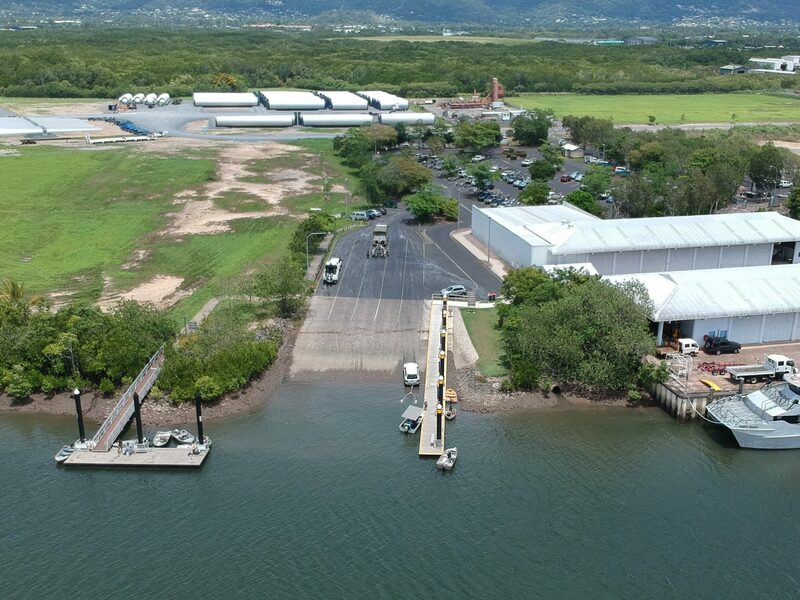 Machans Beach: Small ramp, limited parking and subject to tidal conditions. 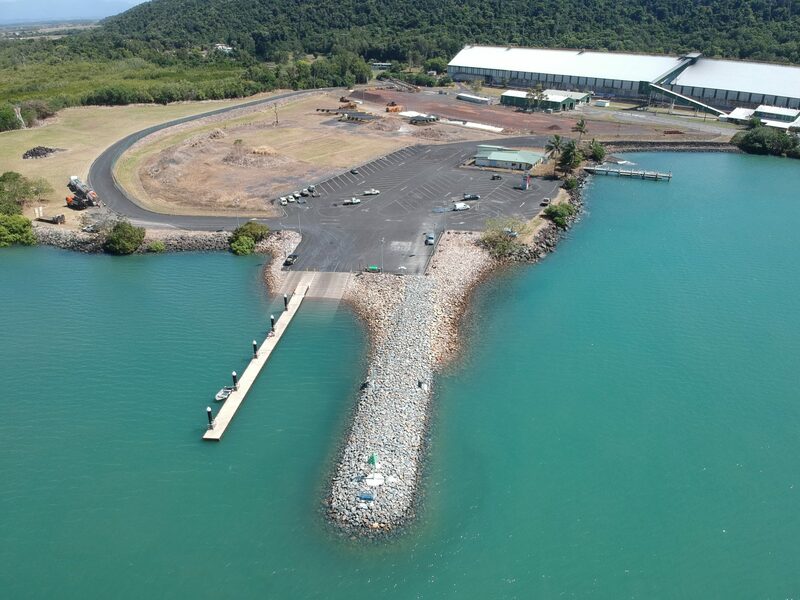 Next To Boating Club: Good sea access, sheltered rock wall and ample car parking and facilities. Some problems with siltation for the larger deep drafted vessels. North End Of The Esplanade: Narrow ramp open to prevailing weather. Only accessible in calm weather however parking is OK and there are shops nearby. Dixon Inlet: Next to the Combined Club. Sheltered wide ramp.Fairly shallow entrance to sea faring vessels. 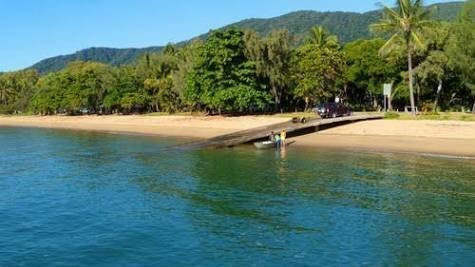 Refer to Port Douglas section for photo. 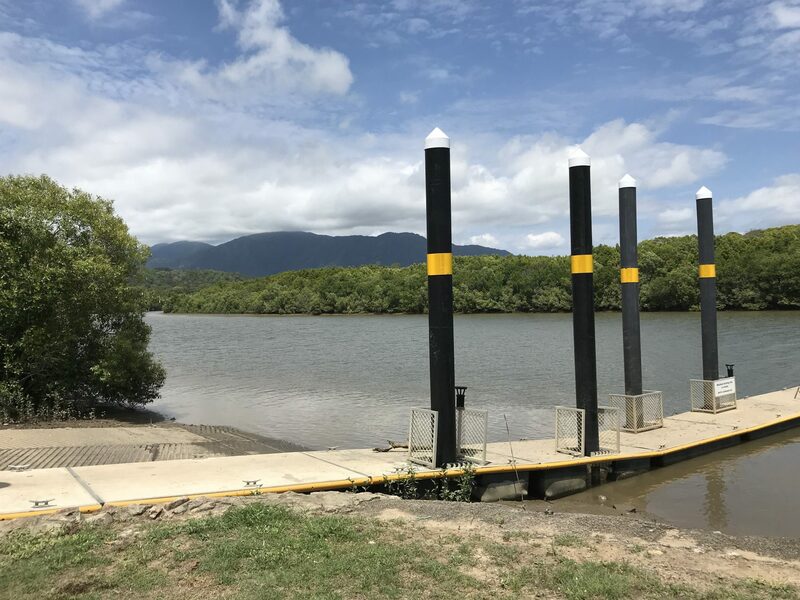 Mossman River Mouth: Relatively small shallow ramp more suited to estuary craft. Dayman Point: Just south of Wonga Beach on Cook Highway. Access to off shore reefs. Take care on windy days as shallow waters can be very rough. 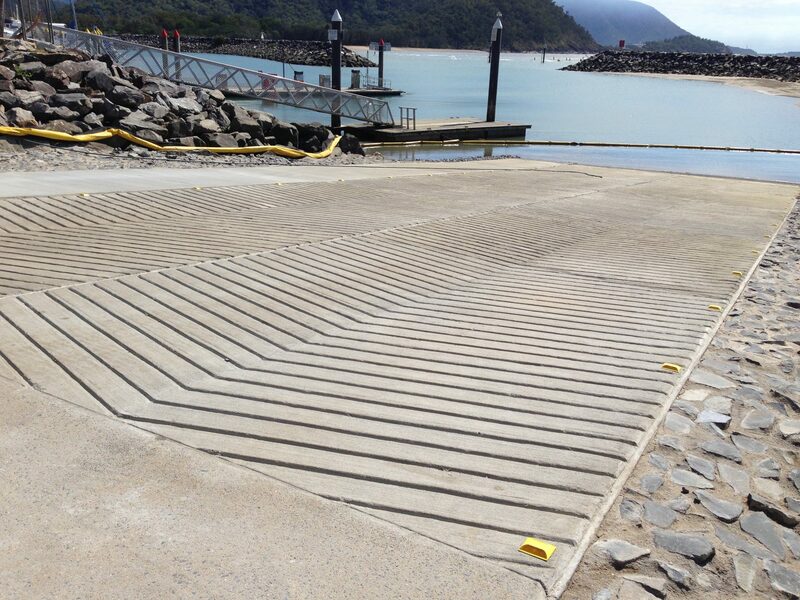 Ferry Crossing: A new all tidal ramp situated just upstream of ferry crossing. Facilities available at crossing. 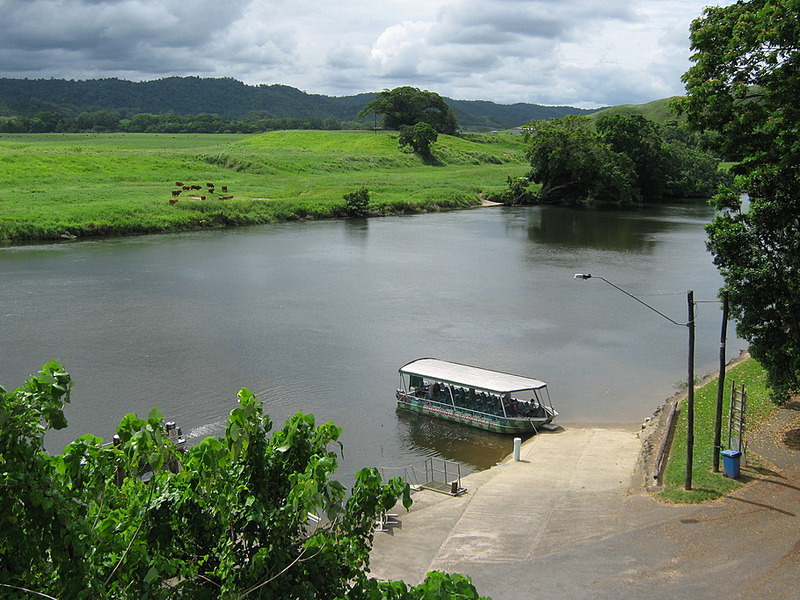 Daintree Village: Situated upstream in fresh water reach of river. Limited to smaller river vessels only. 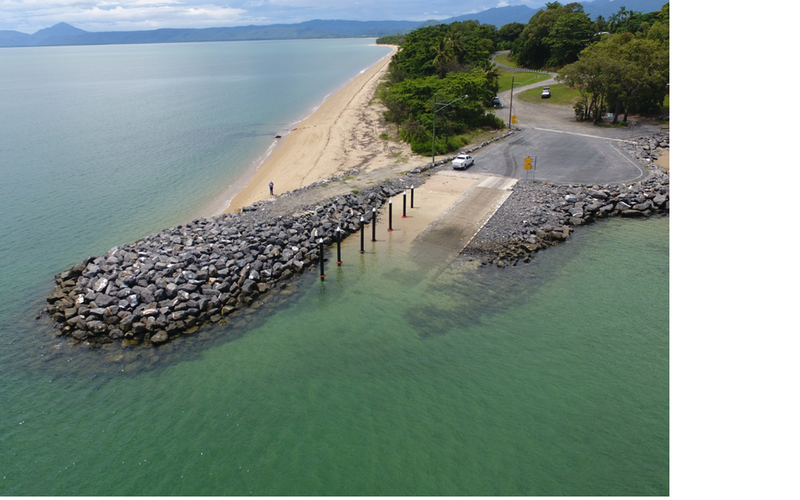 Other southern ramps are located at Bramston Beach, Flying Fish Point, Innisfail, Mourilyan Harbour and Kurrimine Beach. Take Trawler Base Rd off Cook St in Portsmith, follow you nose to the end of the street. Water available for boat wash down. Jetty available for embarkation. Parking available..
Can struggle for parking when busy. New ramp just competed in 2018. Turn left at the southern end of Tingarra St, Portsmith. Clean toilet facilities. Water available for boat wash down. Jetty available for embarkation. Plenty of parking available..
Take Greenbank West Rd off Magazine St in Stratford, follow you nose to the end of the street. Take Buckley St off Varley St in Yorkeys Knob, follow you nose to the end of the street. Parking an issue during peak periods. 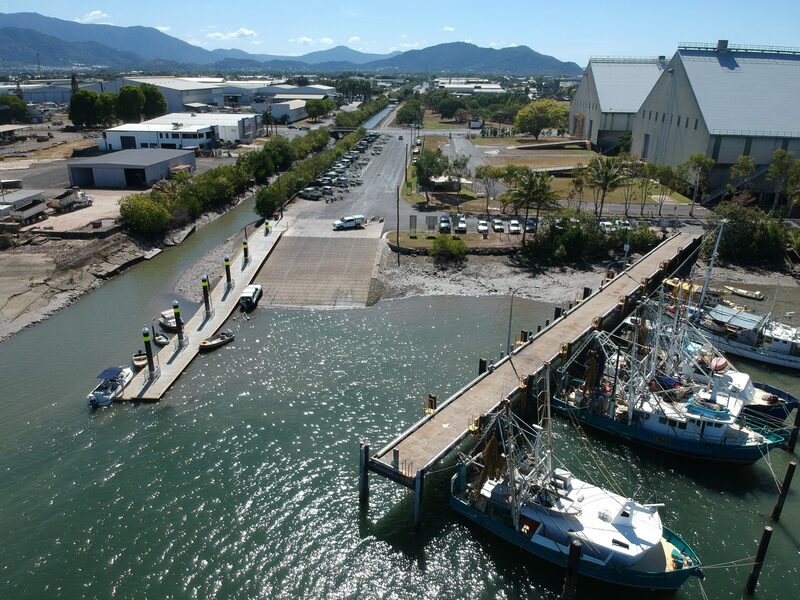 Williams Esplanade in Yorkeys Knob, follow you nose to the northern end of the street. Boat ramp in poor state of repair. Definitely a fair weather facility as it fronts the main beach. South of Wonga Beach, located where the Daintree Mossman Rd hits the coastline. Ideal for smaller boats, a bit tricky when the wind is in the North. Parking usually not an issue. Water available for wash down. Drive to Daintree Village, go to the end of Stewart St (Main St) then head down the hill to the left. You will enter the car park, road to the ramp is at the other end of car park. Ideal for smaller boats, a bit tricky on low tides. Parking usually not an issue. Take Cape Tribulation Dr turn off heading North to Daintree Village. Ramp is about half a kilometre back from the ferry crossing. Turn east into Russell River Rd off the Bruce Highway, approx 6.5km south of Deeral. Approx 50km south of Cairns. 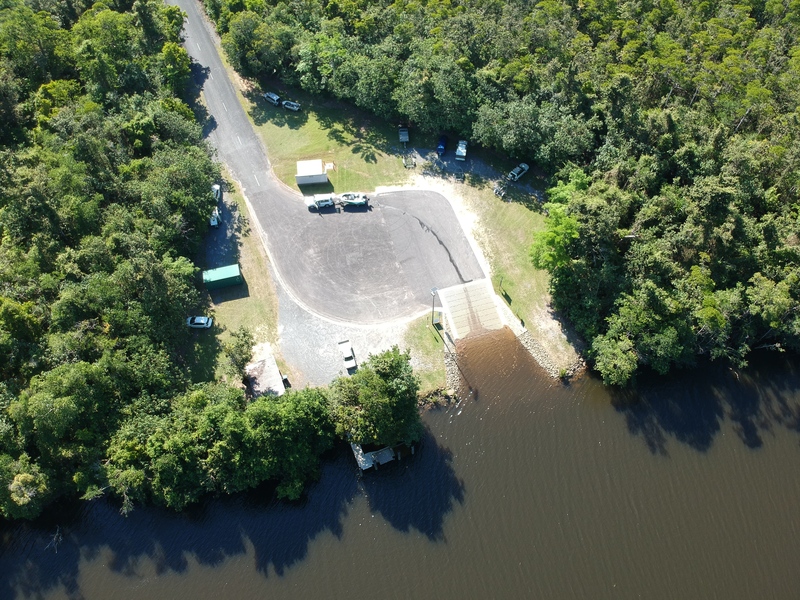 Newly renovated boat ramp. Clean toilet facilities. Water available for boat wash down. Jetty available for embarkation. Parking can be an issue during peak periods. Can be inundated during high peak tides and flooding. Turn east into Ross Rd off the Bruce Highway at Deeral. Approx 45km south of Cairns. Clean toilet facilities. Water available for boat wash down. Parking can be an issue during peak periods. Can be inundated during high peak tides and flooding. Car storage for extended trips offered nearby. 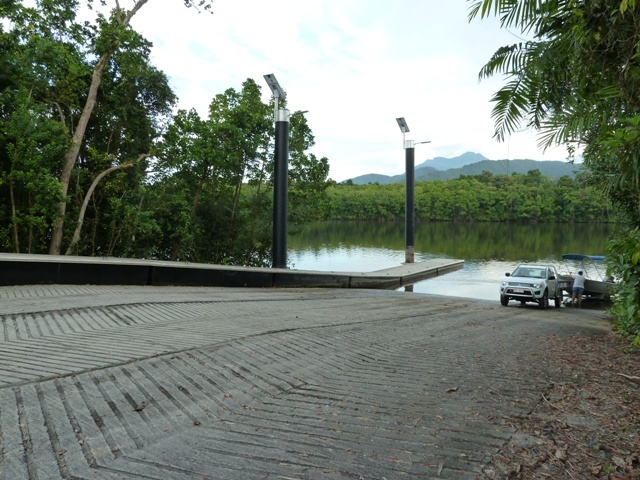 Fitzgerald Esplanade, Innisfail, just under the Jubilee Bridge. Clean toilet facilities. Water available for boat wash down. Parking can be an issue during peak periods. Single lane, limited access. THE Esplanade, Flying Fish Point, between Palm and Fern St’s. No toilet facilities. Limited parking. Single lane, limited access. Turn east into Mourilyn Harbour Rd off the Bruce Highway at Mourilyn. Approx 9km south of Innisfail. Water available for boat wash down. Parking can be an issue during peak periods.